Back from ancient times, Terrazzo is another leading trend of 2018 for redoing your floors.Terrazzo can be traced back to the ancient mosaics of Egypt, its predecessors come from Italy. If you are looking for something new for your Connecticut home, this might be the tasteful floors you’ve been looking for. Creating Terrazzo flooring can be a long process. It consists of chips of marble, quartz, granite, glass, or other suitable material, poured with a cement binder, polymeric, or a combination of both. With Terrazzo flooring you can add a modern touch to any room. This style of flooring can fit any design, however one of our favorites is in a muted room. Think outside the box! 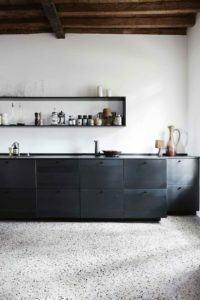 Terrazzo doesn’t have to end at the floors. We often see it being used on walls and for stairs. 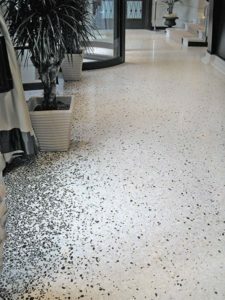 Terrazzo is a beautiful medium and can create a beautiful ascent to any room. 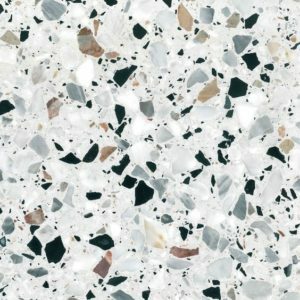 Another great design detail about Terrazzo flooring is that the mix matched shimmering flakes in the floor give a unique look that is hard to replicate. 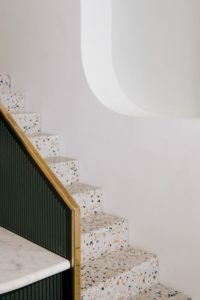 Mixing materials with Terrazzo can bring new inspirations. 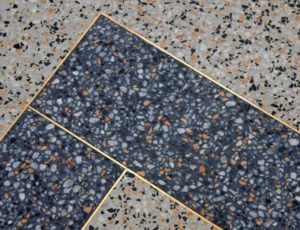 Terrazzo is a fun flooring material. It looks brilliant with other designs because of all the colors that can be found inside of flooring. We enjoy mixing a metallic trim around the Terrazzo pieces. 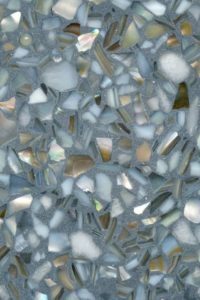 Have you seen Terrazzo flooring before? This style of flooring has been around for some time and a lot of popular places can be seen with Terrazzo flooring. One of the more famous and frequently visited examples of Terrazzo is the Hollywood Walk of Fame. What are your favorite places that use Terrazzo? As one of our favorite 2018 trends, we, at AAI Flooring in Orange CT, are eager to help you with updating your flooring. If you would like to find out more about how we can help you improve your home, visit us today.